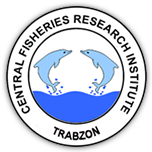 1 Shirshov Institute of Oceanology Russian Academy of Sciences. 36, Nahimovski prospect, 117997, Moscow, Russia DOI : 10.4194/1303-2712-v12_2_37 Viewed : 1756 - Downloaded : 1101 Tamanskij Bay opens into the Kerch Strait which connects the Black and the Azov seas and houses the shallow ecosystem which is the most important in the Russian part of the Black Sea. This ecosystem is dominated by sea grasses (Zostera marina etc). We have been studying bottom sediment hydrocarbons distribution and biomarkers of the pollution in Mytilus galloprovincialis for two years after the wreck of “Volgoneft’ 139” and spilling of more than 1.5 thousand t of residual oil in the Kerch Strait in November 2007. The high level of hydrocarbons in bottom sediments was observed within the analysis of samples taken in 2008 (to 1.5 mg/g). The hydrocarbon level in bottom sediments significantly decreased by July 2009. The n-alkanes distribution analysis reveals two following pollution sources in study area: accidental pollution by residual oil after spill and local pollution sources related to the settlements and the ports. The study of biomarkers in mussels indicated the oil spill pollution effects only.